Weeds infestation is the serious problems of wheat crop of Pothwar Region in Pakistan. 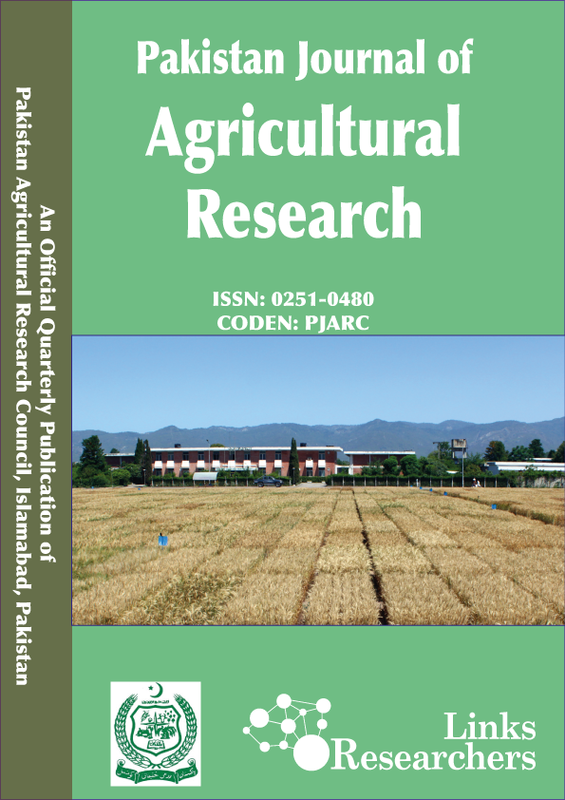 To find out the remedy of the said issues a field experiment was conducted at University Research Farm, Chakwal Road, Rawalpindi during 2015-16 to investigate the effect of different herbicides and sowing methods on wheat productivity and population dynamics of weeds. Different wheat sowing methods (S) were Broadcasting, Line sowing, Ridge sowing, Bed sowing and herbicides used were Ally Max, Clean wave, Starane M. and Buctril Super 60 Ec. The experiment was laid out in RCBD with split plot arrangement having three replications. Hand weeded (weed free), and weedy check (control) plots were also maintained for comparison in each replication. The recorded data were analyzed using Fishers analysis of variance technique and means were compared by using the least significant differences test (LSD) at 5% level of significance. Most of the studied parameters showed significant results (P≤0.05) for yield and weed indices. The results showed that highest weed control efficiency (41.86%) was recorded for hand weeding followed by Ally Max (30.8%) which were significantly different from each other; while, in case of sowing methods, weed control efficiency was maximum (24.08%) for ridge sowing method. Similarly, grain yield was maximum (3.09 t ha-1) under the plot where hand weeding was performed followed by the plot where Ally max (2.68 t ha-1) was applied; whereas, highest yield was (2.84 t ha-1) obtained from line sowing method. So, it is concluded and recommended that for controlling broadleaved weeds hand weeding otherwise Ally Max herbicide through line sowing method results in a good yield of rain fed wheat.